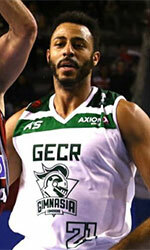 Guaros de Lara (LPB) added to their roster 29-year old American center B.J. West (211-112kg-89, college: Jackson State). He just played at Santos in Mexican LNBP. In 34 games he had very impressive stats: 17.4ppg, 11.1rpg, 1.3apg and 1.2bpg this season. 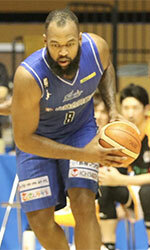 West also played for Al Fateh (SBL) in Saudi Arabian league. The list of the past achievements is quite long as among others his team made it to the Mexican CIBACOPA Semifinals in 2017. West was also voted Latinbasket.com All-Mexican LNBP 2nd Team in 2017. He is quite experienced player. West's career allowed him to visit four different continents, while he played in six different countries. West tasted the life as pro basketball player in Europe, Asia, Latin America and of course North America. He has played previously professionally also in Cyprus (Keravnos), Dominican Rep., Germany (ETB Wohnbau), Puerto Rico (Indios) and Dominican Republic (Dosa). West attended Jackson State until 2014 and it is his fifth season as a professional player.